One of our favorite photographers, Gray Malin, recently released a collection of prints all from the coast of Orange County. We went to an event to celebrate a couple of weeks ago and fell in love with a few of the shots. 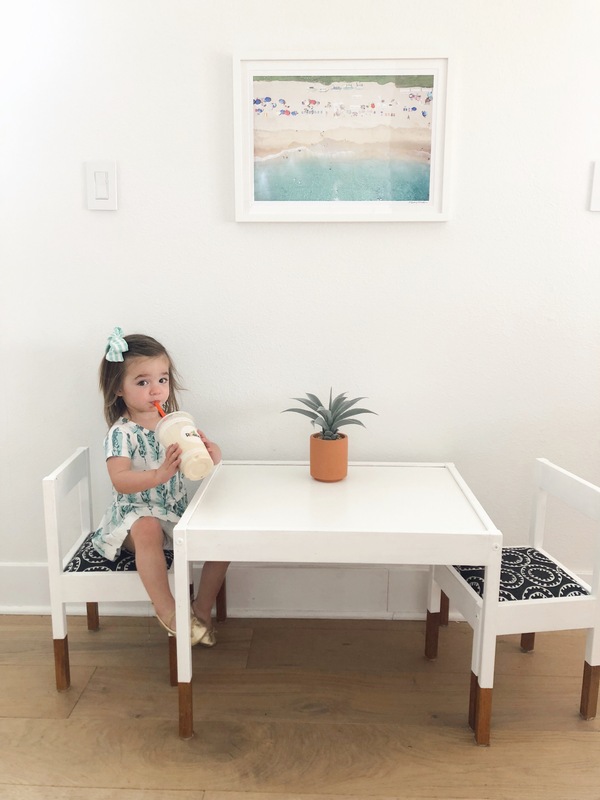 We were even lucky enough to snag one for our house and found the perfect spot for it to live… right over Crosby’s table! 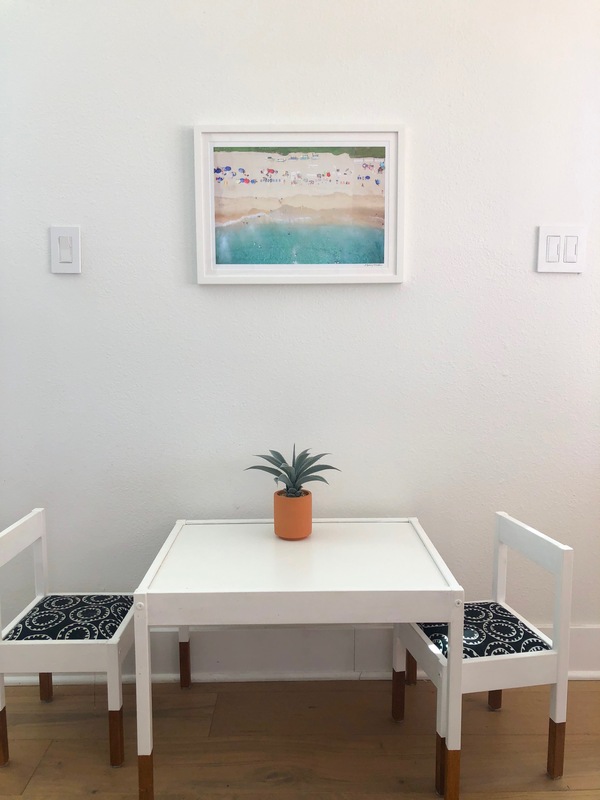 We chose this beach aerial shot of Emerald Bay in Laguna Beach and like to call this “when your 2-year-old has the best art in the house”. 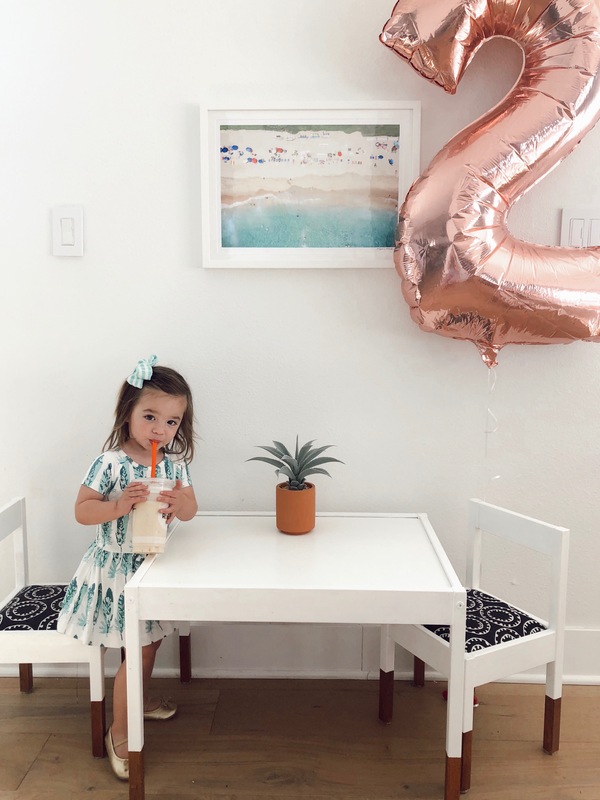 But really, how perfect is it over her little table?! Right now, Gray is offering free framing on all the prints on his site. This is such an amazing sale, as framing alone for this 11.5×17 can cost up to $180 and it’s one of the smaller prints. Such a good sale to take advantage of if you’re eying any of his prints. Check out the rest of his Orange County series here… there are so many great ones, it’s really hard to pick a favorite!